Every house needs professional deep cleaning at least once a year. This is the best guarantee for a healthier home environment and we at One-Off Cleaning have the means to deliver it. 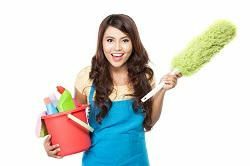 We offer top quality one-off cleaning services in Grange Park, N21 and the best bit is that our services all come at low prices. Whether you are planning to get rid of the useless objects that you’ve been hoarding in the attic for years, or you don’t want to deal with all the dirt and stains left after a long party weekend – a one-off clean is the right solution! We provide a range of cost-effective services and you can choose exactly what you need for your home. Hire the best cleaners in N21 and you will not regret it! Move out cleaning is a real challenge, but we can make it easy for you in N21. Call 020 3397 3282 for a free consultation and discuss the details about what has to be deep cleaned, sanitized or just polished with our experts. There are so many things to clean, polish, deodorize and sanitize before returning the keys of your rented property that there is always a chance to forget something important and, as a result, not get your deposit back. Our one-off cleaning experts in Grange Park excel in that sphere and they can reduce your efforts significantly. There is no need to follow long spring cleaning checklists, nor breathe volatile chemical compounds, nor deal with risky homemade detergents – our cleaners will handle all that for you. You just need to call our experts at 020 3397 3282 and get your free quote today. The local residents in the N21 area can even take advantage of our promotions and special offers. Thanks to our numerous complimentary services, we can clean the dirty carpets after the long winter season professionally and fully. Steam carpet cleaning is an unmatched solution to the dirty spills and nasty stains and this method is suitable for almost every type of carpet, vintage rug or small synthetic area rug. With our professional cleaning tools and expertise, you will get the best results, guaranteed. You Don’t Know What to Do in Grange Park? Take a Look! As we deep clean your home, we give you the free time to do plenty of interesting things and explore your home area! Grange Park is a beautiful suburb in the Borough of Enfield, North London and kids and adults alike can indulge in plenty of interesting pastimes in the region. Go play golf at the Enfield Golf Club or in Bush Hill Park Golf Club, or just unwind amidst the green scenery of Grovelands Park. Or, enjoy the company of friends and loved ones in your favourite pub – the area has many of these to offer. The great transport links to and from Grange Park let you go wherever you want in and around London in just a day. Act Now and Get the Best Deal! Fast action is required as our offer expires soon. This is the best season for deep house cleaning, because it is the best season to save money. Postponing for the next season is not always the most brilliant idea, because the stains in your house become more and more, and there is a risk of making a bigger mess if you choose to deal with the dirty stains by yourself. Not to mention the invisible stains, pollens, microorganisms and allergens, which call for professional sanitizing and deodorizing methods. One-Off Cleaning delivers the best one-off cleaning solutions in Grange Park, N21! To get more info about our offers, talk to an expert on 020 3397 3282 today.